The second annual LoveLoud Festival will take place in Salt Lake City on July 28. 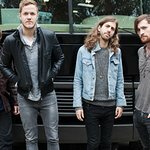 Created by Imagine Dragons singer Dan Reynolds, the festival will feature Imagine Dragons, Zedd, Linkin Park's Mike Shinoda, and Grace Vanderwaal, as well as many others. “All the proceeds raised are distributed to grassroots charities – the Trevor Project, the Tegan and Sara Foundation, Encircle and others – that provide lifesaving services to our LGBTQ youth,” Dan Reynolds wrote in Rolling Stone. "LoveLoud isn’t just for the youth, but also their families and friends. They can attend and become educated on how to truly love and accept our LGBTQ youth. What does that entail? It means that you fully accept their sexuality and even celebrate their love in the same way that you celebrate your heterosexuality. We are excited to hear their stories of love and heartbreak at the dinner table. We should make it such a normal part of our lives and communities – so that one day our youth won’t even need to feel the need to “come out.” It shouldn’t be stigmatized as something that is even a “thing” that requires special discussion. Our LGBTQ youth are tired of explaining themselves and they are at risk. We cannot stand by for one more day and let them feel like they are ‘sinful’ or ‘flawed’."